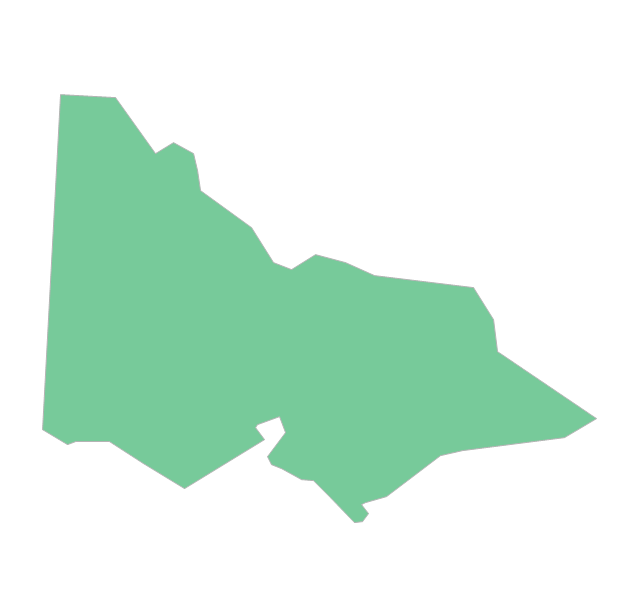 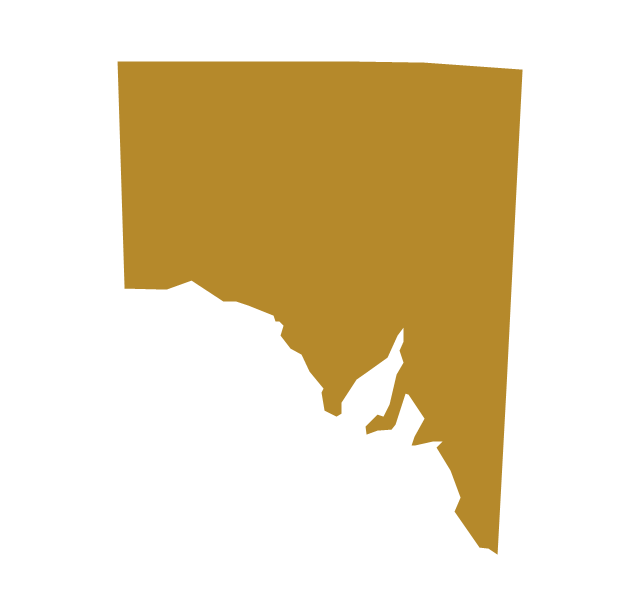 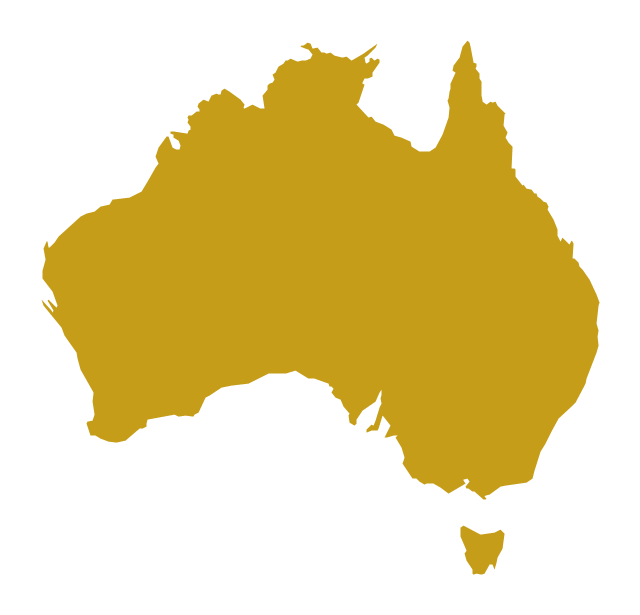 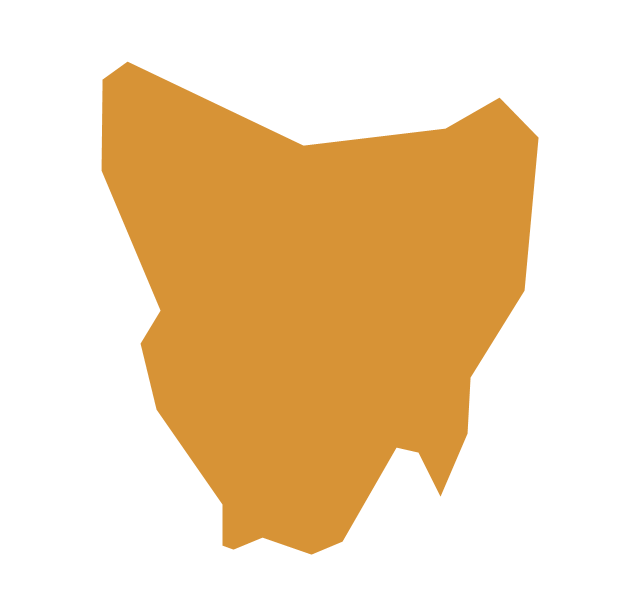 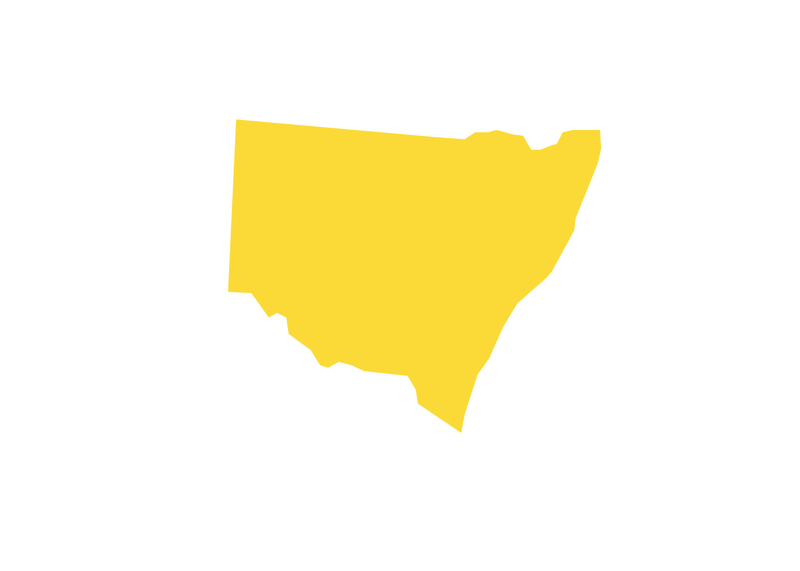 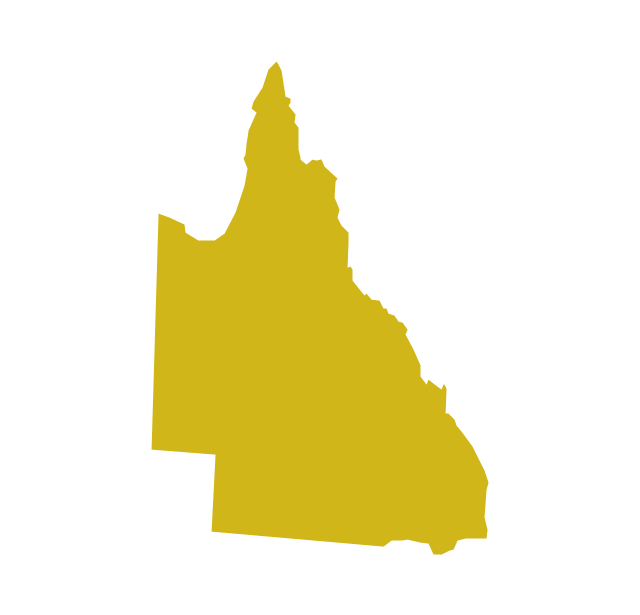 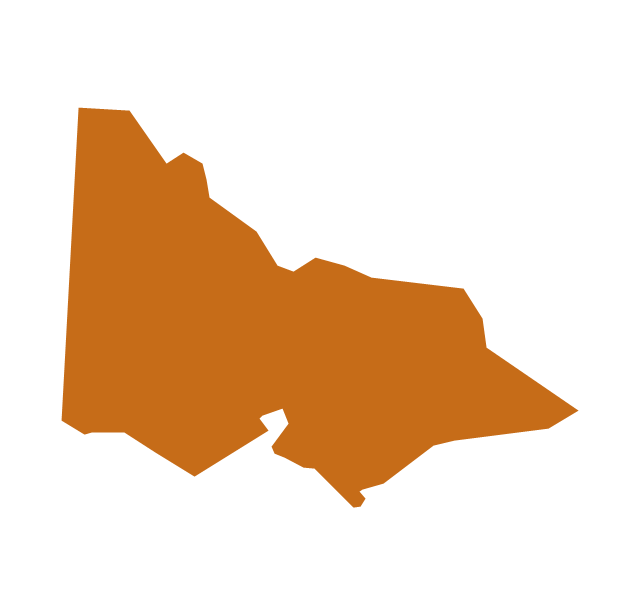 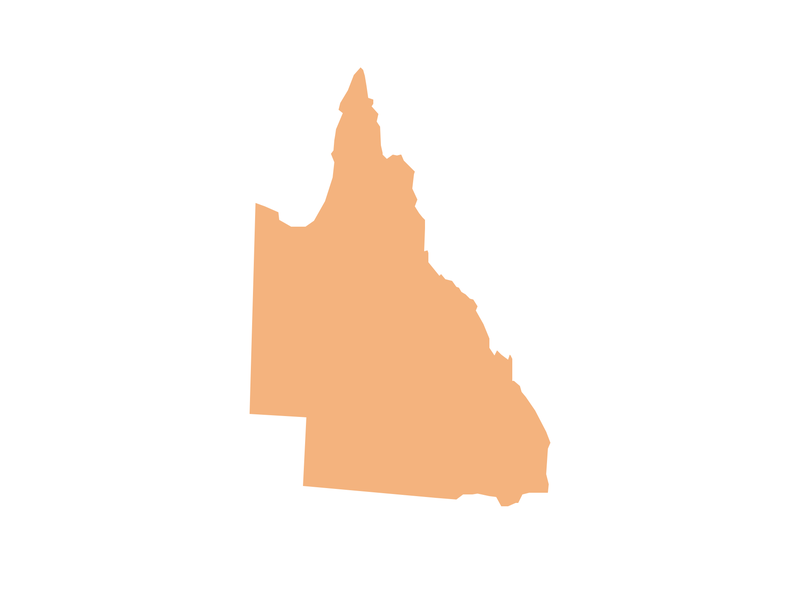 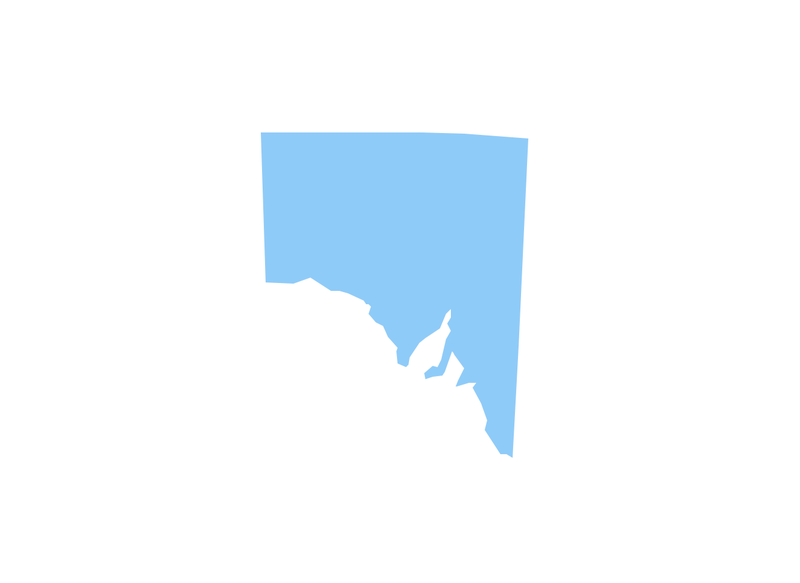 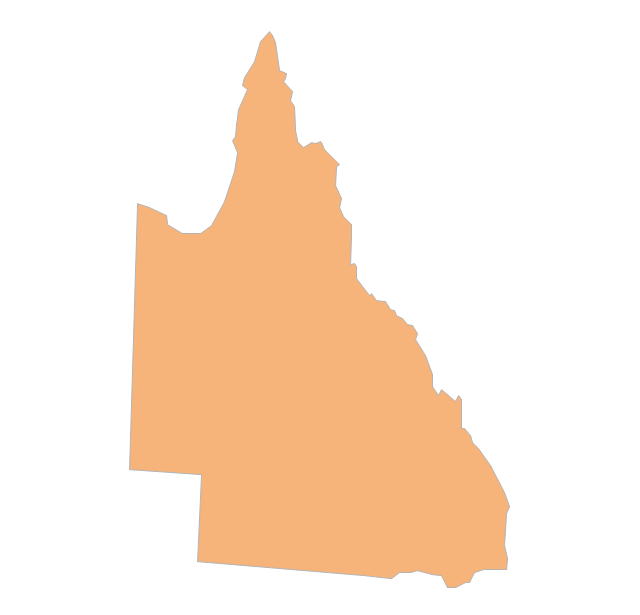 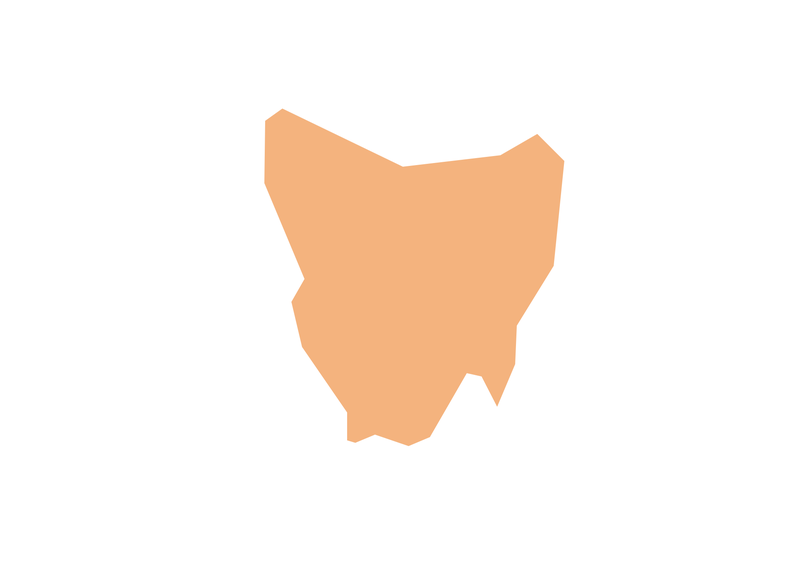 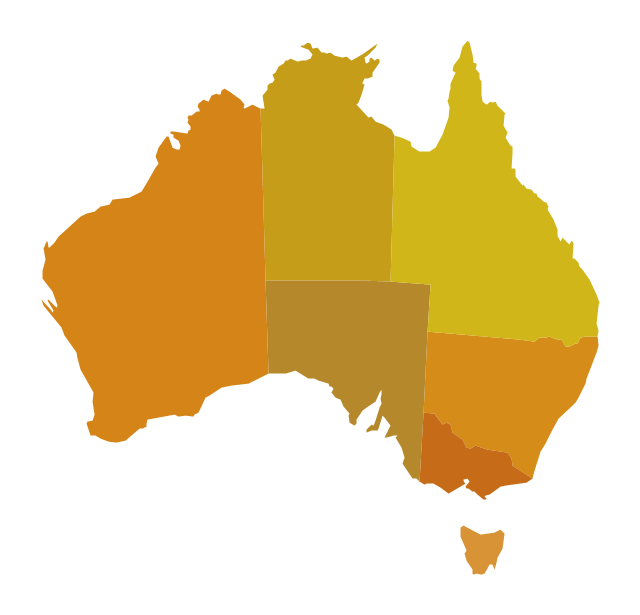 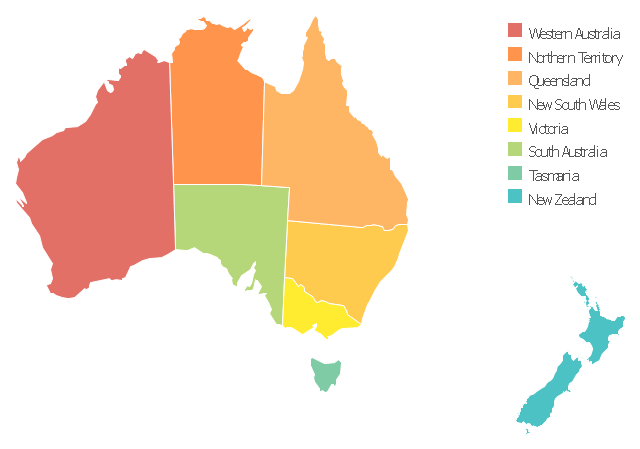 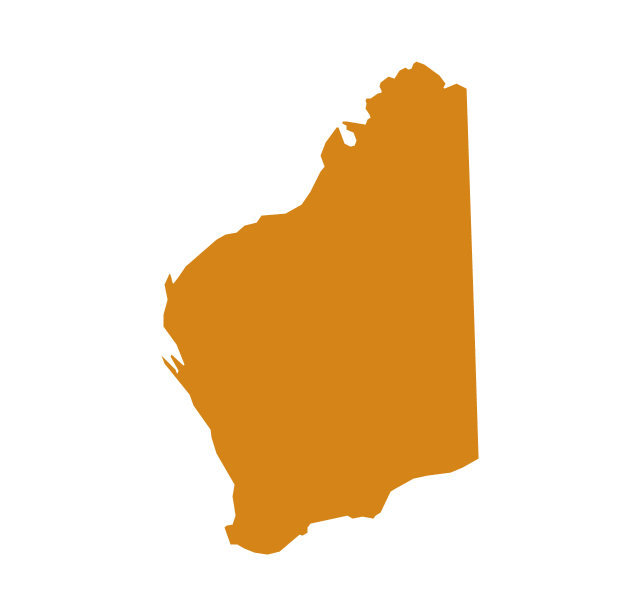 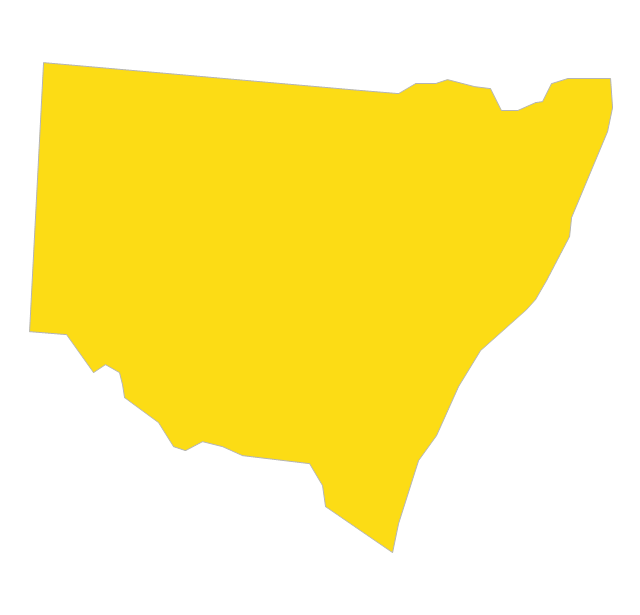 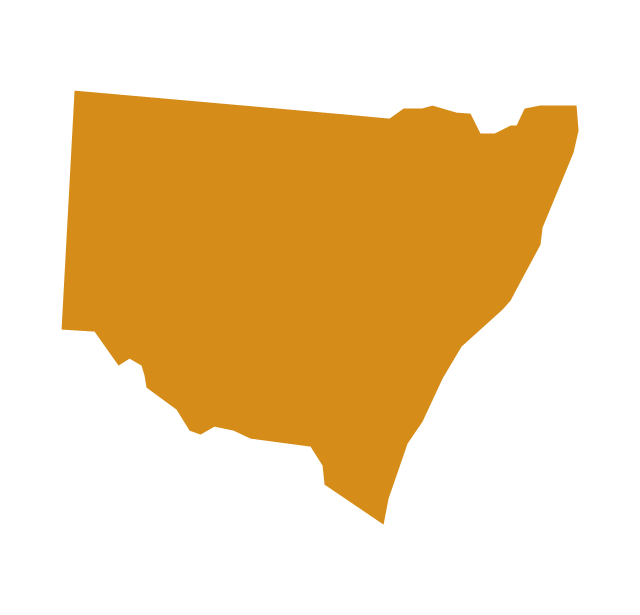 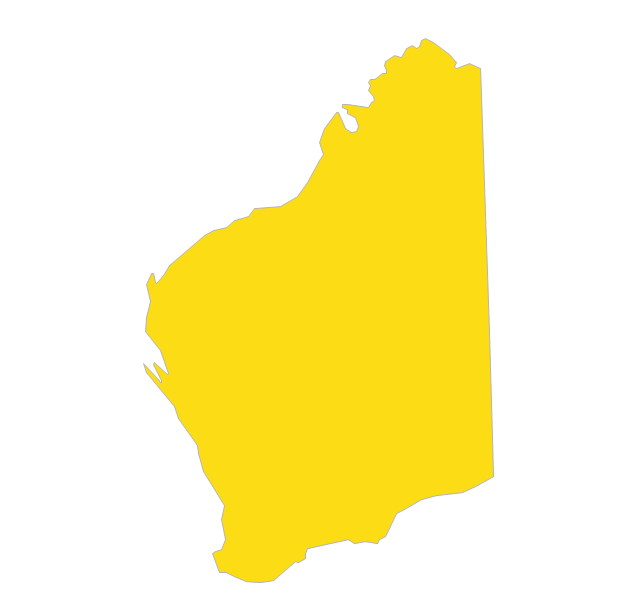 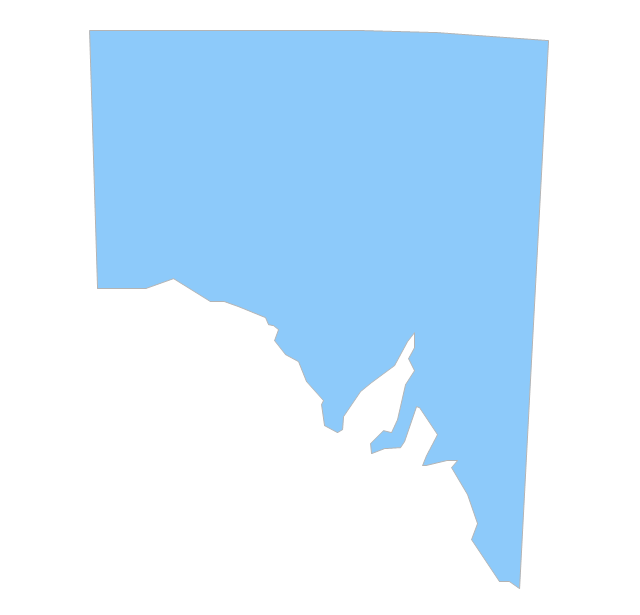 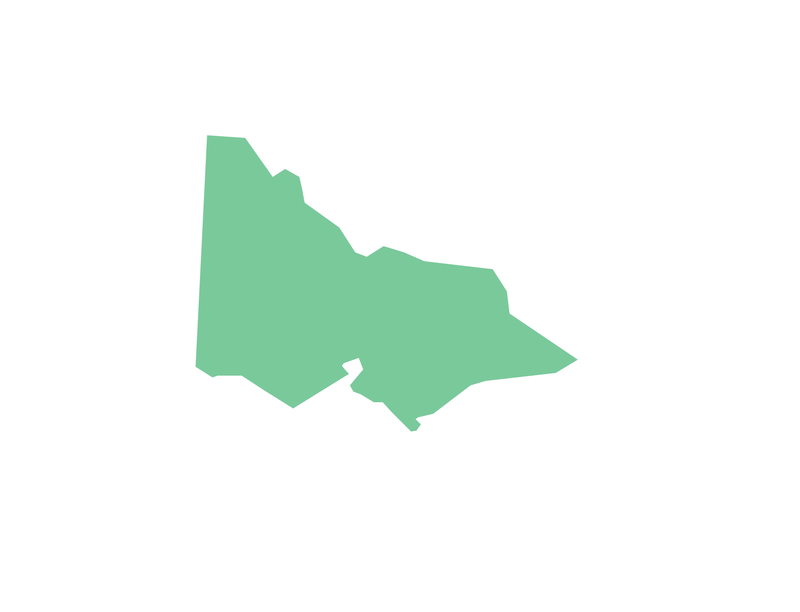 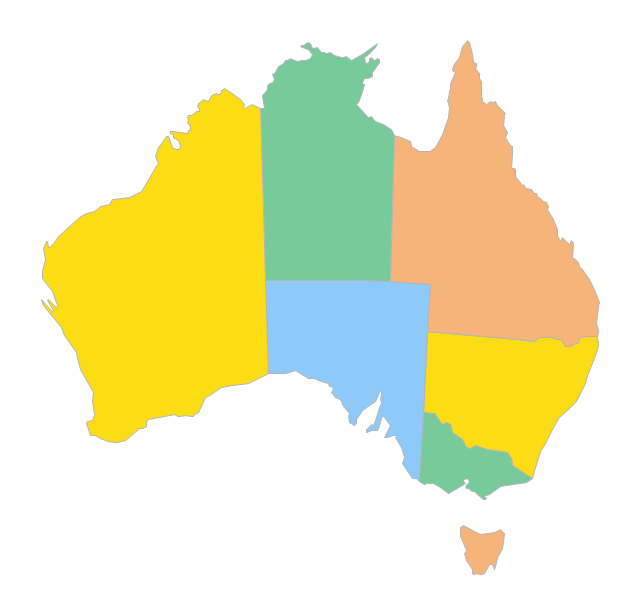 The vector stencils library "Australia" contains 10 Australian states and territories, and New Zealand map contours for drawing thematic maps of Australia and New Zealand. 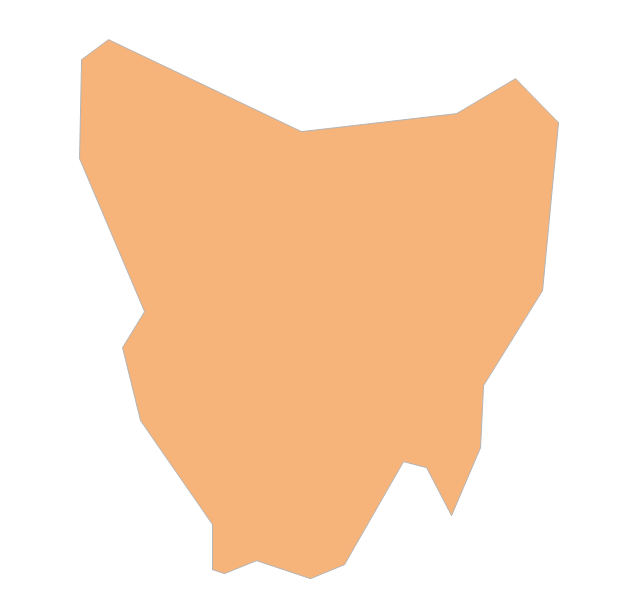 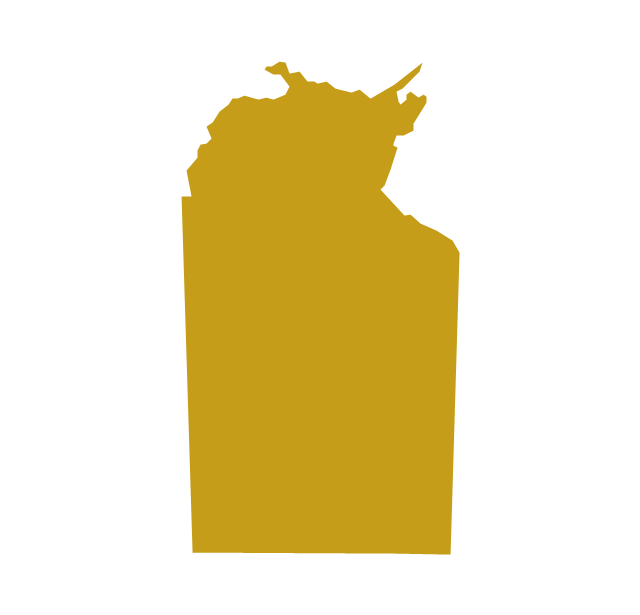 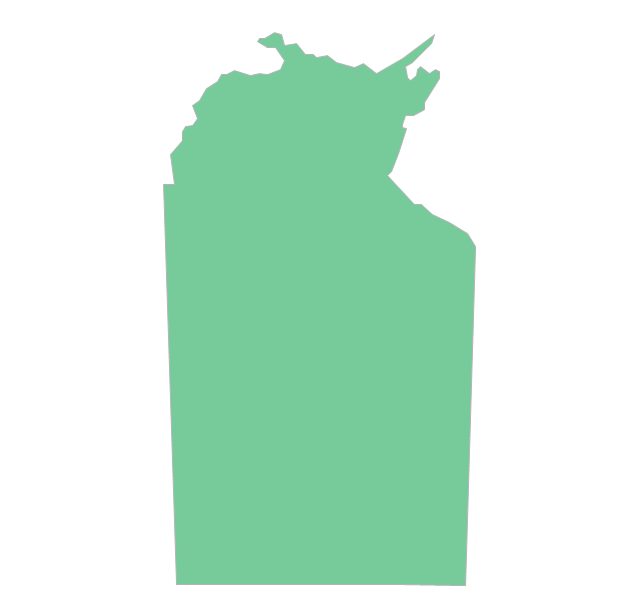 Use it for visual representation of geospatial information, statistics and quantitative data. 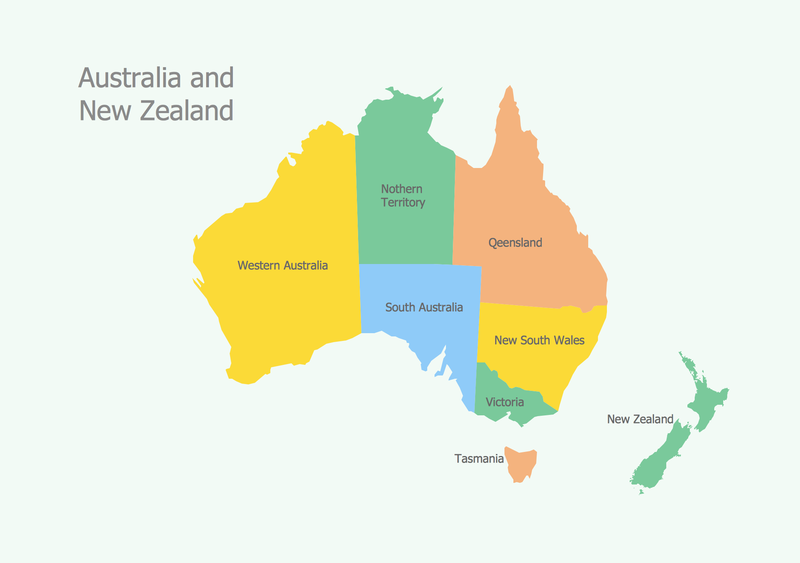 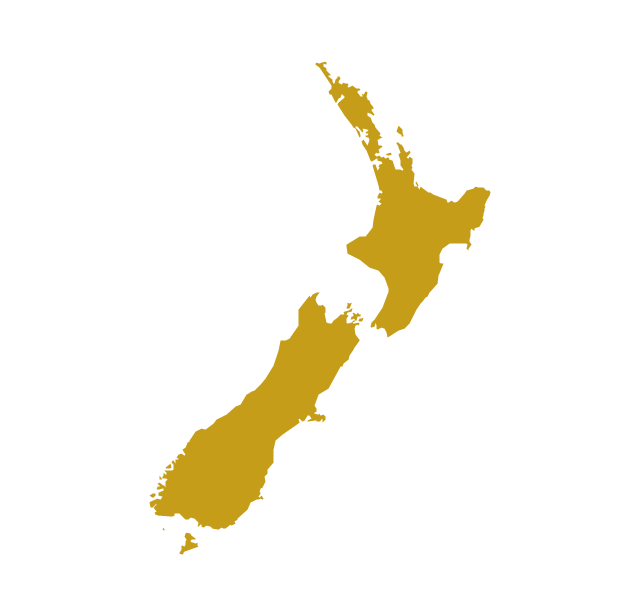 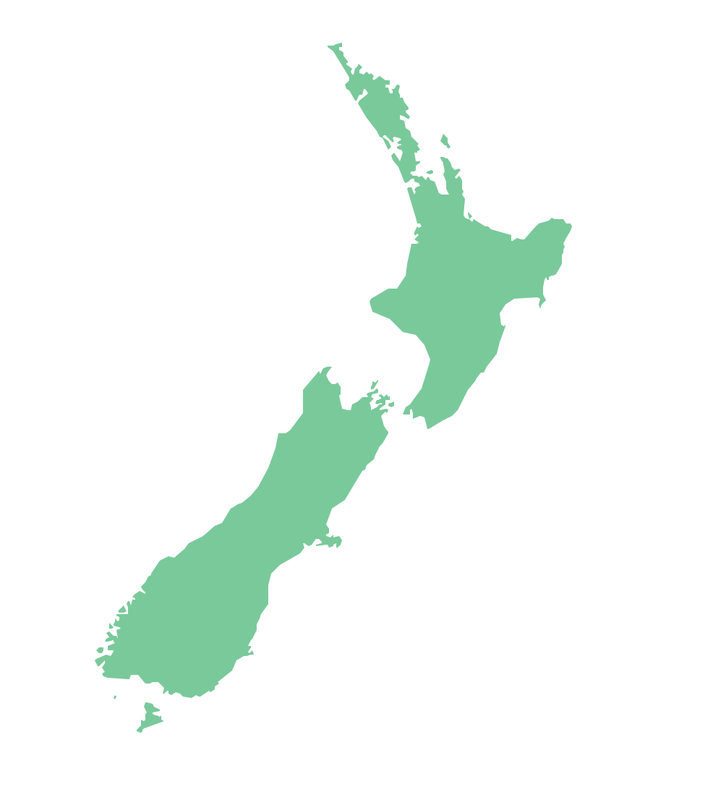 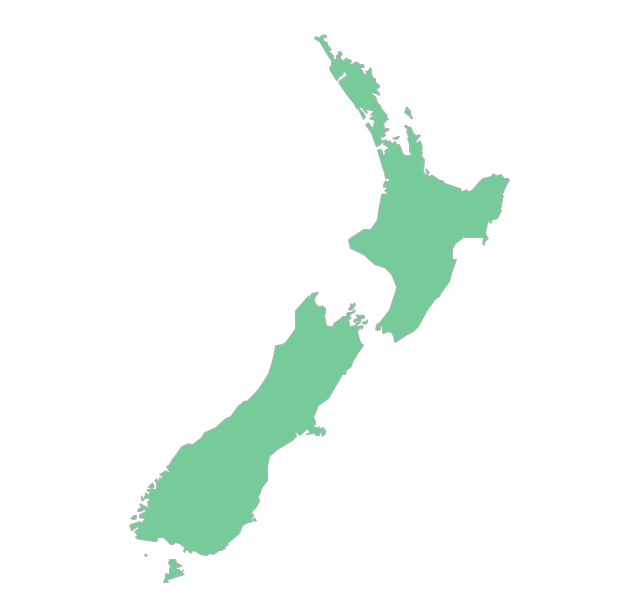 The vector stencils library "Australia and New Zealand" contains 10 contours for drawing thematic maps of Australia and New Zealand.